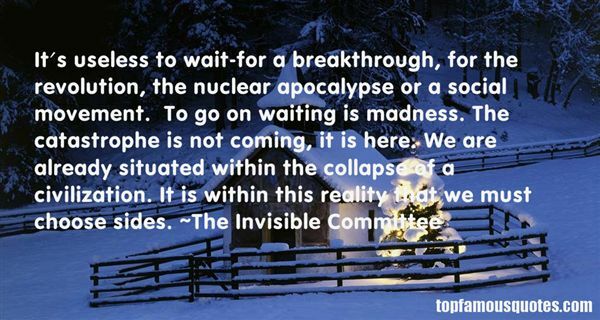 Reading and share top 11 The Invisible Committee famous quotes and sayings. 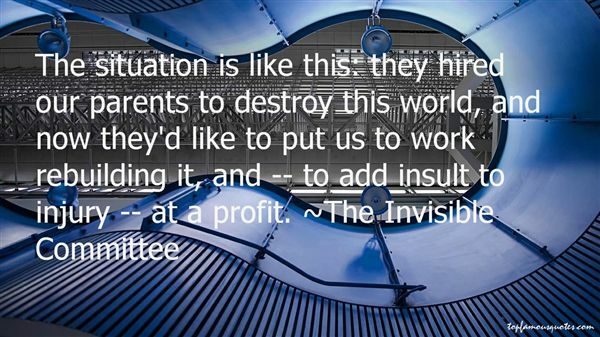 Browse top 11 most favorite famous quotes and sayings by The Invisible Committee. 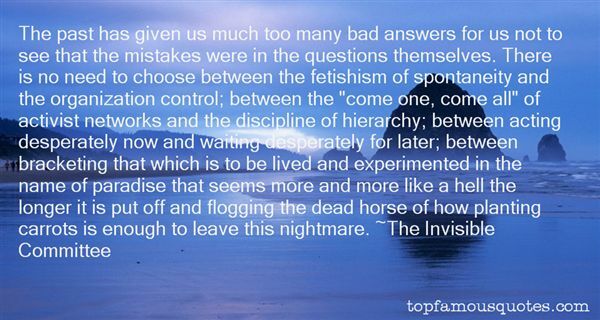 Vices are their own punishment"
What Did The Invisible Committee Talk About?